Preface: Who Is Thierry Henry? An Arsenal legend, Arsenal's all time leading goalscorer, former captain of Arsenal and France, winner of every trophy in football between France (World Cup 1998, Euro 2000) Arsenal (EPL 2002, 2004 FA Cup 2002, 2003, 2005) and Barcelona (2009 Champions League, La Liga, Copa Del Ray + 3 other titles, La Liga 2010), and catalyst of a dubiously illegal extra time goal that sent France through to the 2010 World Cup at Ireland's expense. In other words, an absolute giant of the modern game. After announcing it informally a couple of weeks ago, today Thierry Henry & Barcelona officially announced that they are parting ways. It now appears that the rumors of him coming to America to finish his career may happen as soon as this week. New York Red Bulls are already running a commercial on MSG saying that they are signing him without saying they have signed him (notice the Arsenal shorts 0.02-0.05 nudge nudge, wink wink) and by some accounts this is "the worst kept secret sports" right about now. NY translation: "I'm not saying... you know. Da thing, with da guy. 1. He loves America, and he can go out and about without being mobbed by press & paparrazzi here. 2. New York is perfect for him- fashion, personality, primadonna, superstar, etc. 5. He's now a shamed villain even at home in France after their World Cup reality tv show "The Prissy Whiny Talented Ballerinas Coached By A Batshit Crazy Lunatic" flopped. MLS can offer him a breath of fresh air and a more laid back sporting culture with less scrutiny. He can be a superstar, and live in New York, which is good for his ego & personality, but he'll still be the 10th or 12th biggest star in New York, if that, so the spotlight will not be all that bright compared to anywhere in Europe. But more interesting is what he can do for MLS and US Soccer. Given the massive opportunity generated by the USMNT's run at the World Cup, USSoccer needs to do a few things to capitalize and grow the game in America. And MLS signing name brand aging stars is the first such step. The Beckham Experiment proved 1 thing- that US casual sports fans want a name brand who is good, not a much more unknown to them player who happens to currently be playing at a higher level than said aging star. The path forward for MLS is to sign as many aging superstars as possible. And don't worry about such a strategy stunting the development of homegrown US talent- a rising tide lifts all boats. It will make the league better, and soccer is like any other sport- playing & practicing with better players makes you better. If your big name star played for a major European club then even better, because consider this- there are thousands and thousands of American Arsenal fans, myself included, who would most definitely go to an MLS game when he is in town & plunk down $25 to watch an Arsenal legend in the flesh. 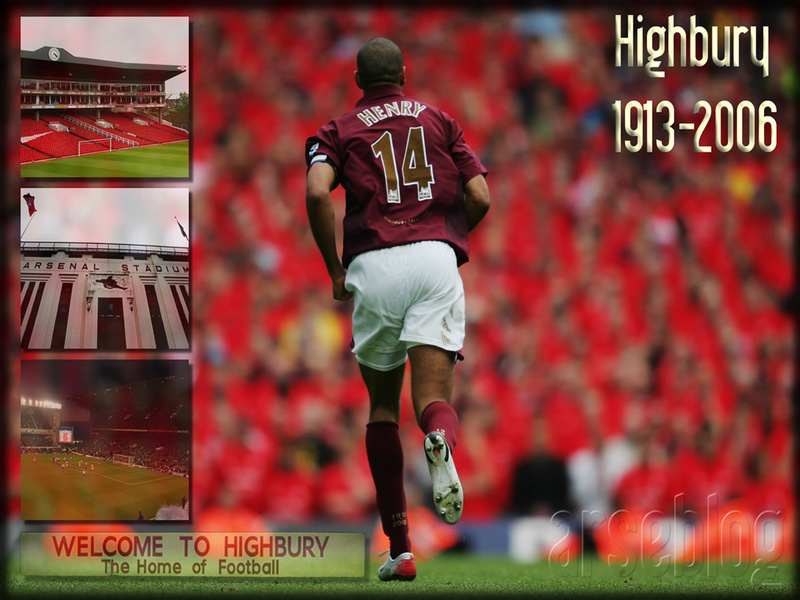 I was lucky enough to fly to London to see Arsenal play at Highbury 2 different times, but most American fans didn't, and now they will have a chance to see TH14 live and in person. And they will. Just look at the massive attendance figures in the last few years for exhibition matches played by the major clubs in the US- those same fans will definitely go to an MLS game when a favorite player from their favorite club is in town. Yes he is a bit past his prime, and yes he has lost a step, but make no mistake, at 32 he is still damn good and damn capable, ESPECIALLY at the MLS level. The minute he signs the contract he is probably the best player in MLS, period. And he will be very successful here against the slightly lower caliber of players that he will face, and many fans who have never seen what he can do will be dazzled. Win win win. There's been persistent rumor that Raul is going to join him as well. Some of the people who follow RM alot more than even I do are convinced it's all but a done deal. Hopefully MLS will aggressively pursue players of that generation closing in on end of their careers- America has lots to offer some of them.